Jane Austen's novels are classics. They have never been out of print, and have continuously been turned into countless movies and TV series, yet her works still remain largely misunderstood. On their surface, Austen's novels all involve characters from provincial communities in rural England, far removed geographically and thematically from greater social movements, war, industry, colonization, and imperialism. This impression could not be further from the truth. 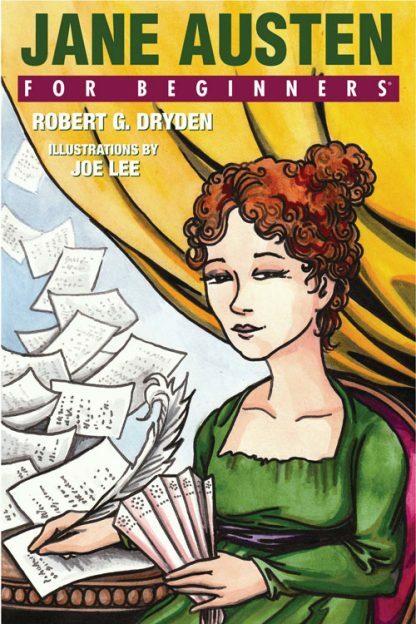 Jane Austen For Beginners explores the intentions behind Austen's work. Her examination of money and power, of the marriage market, of social class, and of the rending of the British social fabric of her day are among her many concerns. Jane Austen For Beginners will foster a deeper appreciation and understanding of Austen's greatest stories and most memorable characters. Robert Dryden is an Associate Professor of English at Hillyer College, University of Hartford, in West Hartford, Connecticut. He received his B.A. in English from Hampshire College, an M.A. in English from the University of New Orleans, and his Ph.D. in English from Louisiana State University with a concentration in 18th- and 19th-Century British Literature. He has written numerous scholarly articles about Jane Austen and other 18th-Century British Literature subjects, including contributions to the anthology Teaching the Transatlantic Eighteenth Century (Cambridge Scholars Press) and to the forthcoming volume Jane Austen in a New Age: Pleasure, Passion, and Possessiveness in the Global Jane Austen Community (Palgrave Macmillan 2013), of which he is also co-editor.